This unique historical hotel dates back to 1901 and is situated in the heart of Moscow, within walking distance of some of its most famous attractions, such as the Red Square and the Kremlin. Convenient access to the public transport network is available at just 50 metres from its front door, whilst a number of shops can be found within a 5-minute walk. The 6-storey building of the venue has been able to conserve its classical charm and enhance it with modern features. Business travellers will be pleasantly surprised by the state-of-the-art conference facilities and the internet access that is available in all rooms. They can also take advantage of any of the 3 onsite restaurants when a more casual environment is required. For relaxing guests can dip in the indoor pool or sweat the stress away at the sauna or the steam room, while they are at it why not request a massage to top it off. The 20-storey business hotel offers all kinds of services and facilities for its guests. For their convenience there is a modern business centre and a conference hall with capacity of up to 60 people. Set in the beating heart of Moscow, near the world-famous Arbat Street, it is in the immediate vicinity of the most important governmental and administrative buildings, as well as cultural venues and entertainment centres. Travellers looking to explore the area will be only a 10-minute drive from the Red Square and the Bolshoi Theatre. When it comes to diningthe excellent onsite Belgrade restaurant invites to enjoy magnificent European cuisine, excellent desserts and a rich selection of alcoholic beverages. Throughout the day it offers a cosy atmosphere, welcoming service and diverse menu. 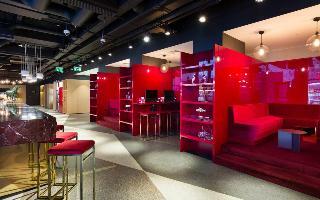 This hotel is located south-west of Moscow, a 7-minute drive from Vnukovo International Airport. A 24-hour sauna, on-site restaurant, room service and gazebos near a pond are featured at Vnukovo Village Hotel Park & SPA.The elegant rooms offer warm-coloured interiors and classic-style décor. Every room provides a flat-screen TV, a minibar and a private bathroom a hairdryer and free toiletries. 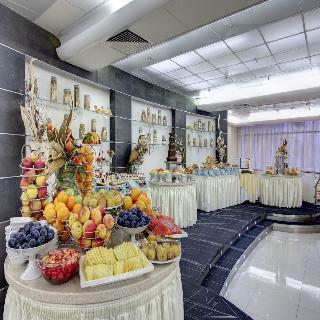 This charming hotel enjoys a convenient location in the city centre of the vibrant Moscow. Guests will find themselves just a 5-minute walk from Paveletskaya metro station. Some of the most important tourist attractions are in the surrounding area, including the Gallery Tretiakov, situated some 15 minutes away. Paveletsky's railway station is just a 10-minute walk and offers easy access to Domodedovo's international airport. Guests will find a choice of bright rooms that are tastefully decorated in warm tones to create a relaxing atmosphere in which to completely unwind at the end of the day. The onsite facilities include a restaurant serving a range of delicious European specialities that will delight even the most discerning palates, all for a comfortable stay either for business or leisure. 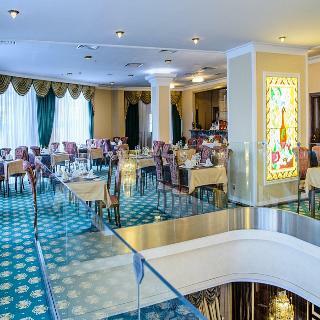 Close to the green Izmailovsky Park, this hotel enjoys a very picturesque location. Pushkin Museum, Red Square and the Bolshoi Theatre are in close proximity. Restaurants and shops are within a 5 minute walk, bus and railway stations are around 100 m away. The airports of Sheremetyevo and Domodedovo can be reached within 50 and 60 minutes, respectively. The hotel features 961 rooms, 24-hour reception, concierge service, currency exchange, free WIFI throughout, meeting rooms, business centre, ATM on site, restaurant, bar, wellness and car hire. Facilities for disabled guests. The hotel is located not far from Sheremetyevo International Airport and near the exhibition centre 'Crocus Expo'. The total area of 25-storeyed hotel complex of a category 4 is 20000m2. There is a free parking and room service 24 hours. 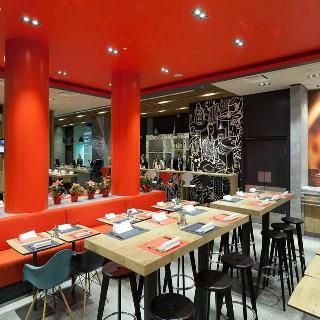 The restaurant SK-Royal offers its guests to try dishes of European cuisine in a pleasant atmosphere. The conference hall is equipped with everything necessary for organizing all types of events. 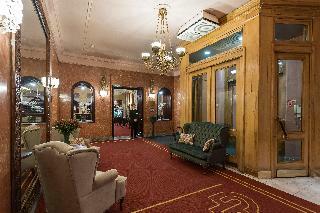 The hotel has 170 rooms of varying types. All rooms have 2 telephones, interactive TV and Wi-Fi, as well as air conditioning, safe and mini bar. They all have luxuriously equipped en suite bathrooms with bathrobes and hairdryers. The restaurant and the lobby-bar can seat up to 70 people each. 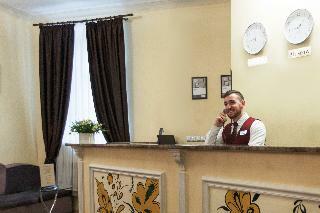 The hotel is perfectly located in the heart of Moscow business district, just next to the Paveletskaya Station and a 5-minute metro ride to the city centre, Kremlin, Red Square and Bolshoy Theatre. Guests traveling through the Domodedovo Airport will be within a 10-minute walk from the express train terminal and a kilometre from the train station. The hotel itself is designed in modern style with bold décor and each of its spacious rooms come with comfortable beds and air conditioning. There is complimentary WiFi for those who need to stay connected with friends and family back home or have to do some remote work during their business trip. For the perfect start of their day they can enjoy a hearty meal from the full buffet breakfast, while the stylish bar offers a venue for that much needed chilled drink at the end of it.